When Does an Ingrown Toenail Require Medical Intervention? 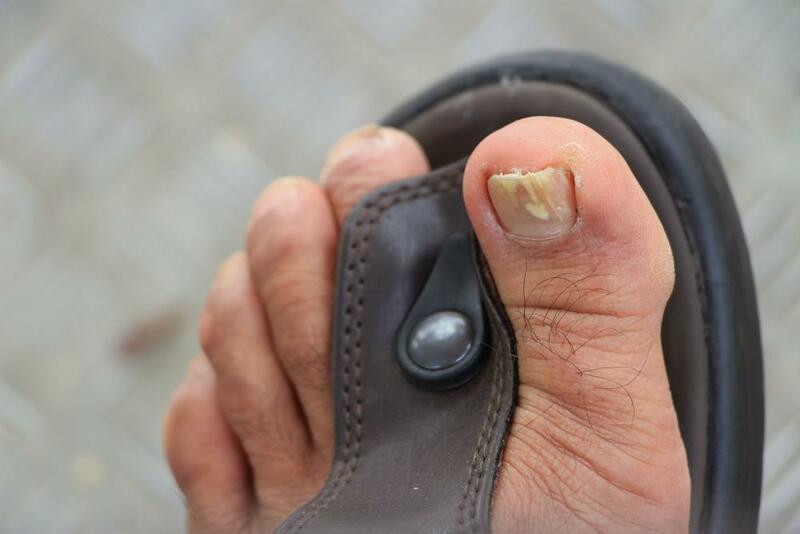 Animas Foot & Ankle Blog When Does an Ingrown Toenail Require Medical Intervention? Ingrown toenails aren’t exactly uncommon, but that doesn’t mean they don’t need to be taken seriously. Ingrown toenails occur when your toenail presses against the soft tissue along the side of the nail and begins growing into your skin. Unless it’s treated — promptly and appropriately — it can wind up causing an infection that can quickly spread to the rest of your toe and even into your foot. An Animas Foot and Ankle, we offer safe, effective treatments for ingrown toenails, preventing and treating infections while also keeping the nail from growing back into your skin in the future. Although ingrown toenails can occur on any toe, they’re most common on the big toe. In most cases, ingrown toenails form as a result of pressure on your toe that forces the nail into the soft skin. Most commonly, pressure is caused by footwear that doesn’t fit properly. When your shoes are tight in the toe area, the pressure of the shoe material forces your nail into the skin. Over time, continual pressure “reshapes” the nail as it grows, so you can still experience all the symptoms of an ingrown toenail even after you’ve removed the ill-fitting shoe. Ingrown toenails are more common among people with certain medical conditions, including diabetes, which affects the body’s healing responses. They’re also more likely to form if you cut your toenails in a curved shape or if your toenails are naturally very curved. 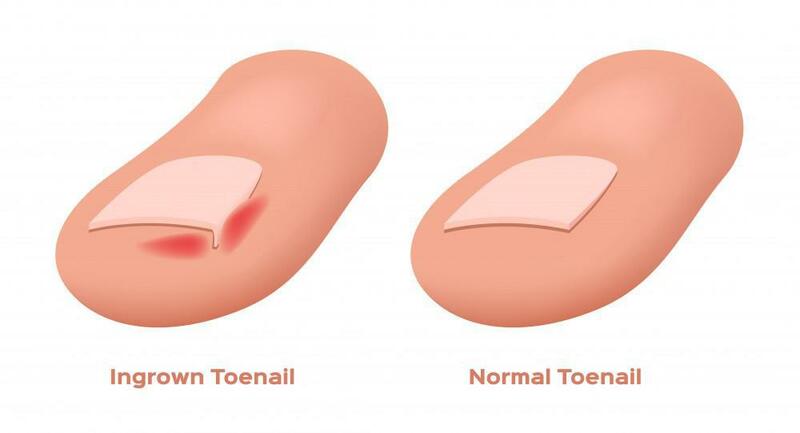 In their early stages, an ingrown toenail causes pain and redness around the nail bed, with painful symptoms increasing when you’re wearing shoes. Over time, the area will become inflamed and an infection can set in. If the infection isn’t treated promptly, you might notice a pus-filled discharge from around the nail, and the skin may bleed easily. When an ingrown toenail is “caught” early enough, it may resolve on its own as long as you’re able to avoid placing pressure on the area. To treat the nail at home, try soaking your feet in a basin of warm water for 20 minutes twice each day to promote healing and reduce tenderness and swelling in the area. You might be able to gently trim away the portion of the nail that’s beginning to press into your skin. Placing a soft padding material or a small piece of gauze around the nail area can help protect it while also reducing pressure on the nail. If these steps don’t provide relief or if your symptoms increase, it’s time to visit our office. Ingrown toenail treatment at Animas Foot and Ankle begins with an examination of your toenail, sometimes followed by digital X-rays to provide additional information. Depending on your needs, your doctor might clip the corner of the nail to prevent it from growing farther into your skin, or the doctor might insert a tiny piece of gauze or a splint beneath the nail to protect the skin. Splints may also “train” the nail to grow over your skin instead of into it. If your toe is infected, you’ll probably receive a prescription for antibiotics, and you may also receive prescriptions for medicines to relieve pain and inflammation as well. If you develop ingrown toenails on a chronic or regular basis, especially nails that tend to get infected, your doctor might recommend removing all or part of the nail during a simple, in-office procedure that can be performed using a local anesthetic to numb your toe. Once the nail portion is removed, a special chemical is applied to prevent regrowth of the nail. There’s no downtime associated with a nail removal procedure, so you can go back to your regular routine (and your normal shoes) right afterward. Ingrown toenails should never be ignored. Without proper care, you could wind up with a very serious infection that can be much more difficult to treat. 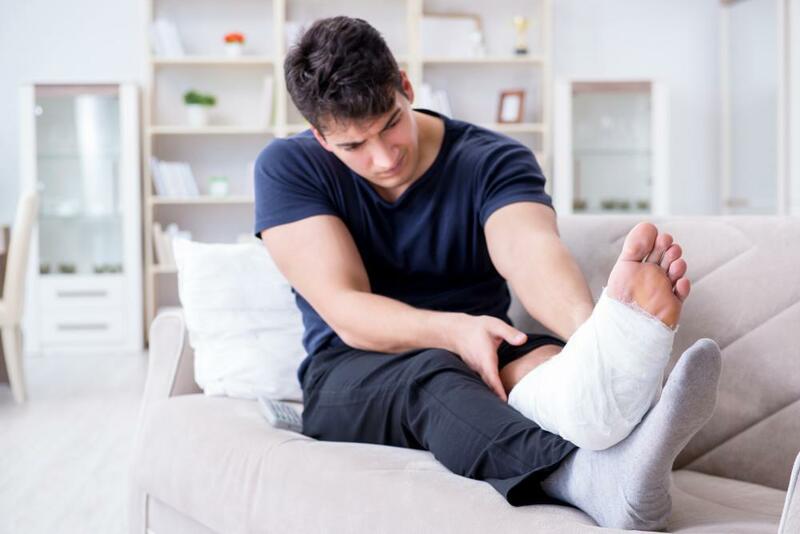 If you have an ingrown toenail that’s not responding to simple home care options or if you regularly get ingrown nails, get the care you need to stay healthy: Book an appointment online today. Toenail infections are relatively common, but that doesn't mean they don't need prompt professional care. Here are some important reasons why you should never ignore an infection or delay your treatment. 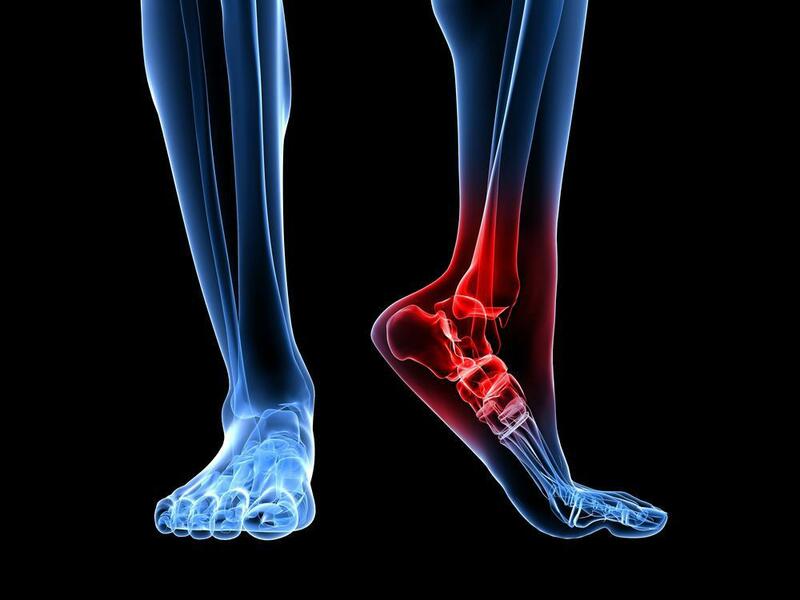 When pain in your heels keeps you out of the game or makes it painful to walk up and down stairs, it could be Achilles tendonitis. Take a minute to learn how to prevent this painful condition. High Heels: How Bad Are They for Your Feet? As the holiday season gets into full swing, you’ll be tempted to throw on those great heels and go socialize with friends and family. Before you do, we’d like to bring you this message from your feet: Ouch.